In 2010 Noel Gallagher set about working on a debut solo album. Noel Gallagher’s High Flying Birds was released in 2011, with him using the album title as the moniker for his new band. The album, featuring the singles The Death of You and Me, If I Had a Gun…, What a Life, Dream On and Everybody’s On the Run debuted at No.1 on the Official UK Albums Chart. 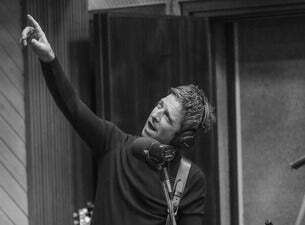 Noel has subsequently released two more studio albums under the Noel Gallagher’s High Flying Birds banner: 2015’s Chasing Yesterday and 2017’s Who Built the Moon?, which included singles Holy Mountain, She Taught Me To Fly It’s a Beautiful World. A British music icon, Gallagher first came to worldwide attention as the lead guitarist and principal songwriter in the multi-platinum selling Manchester rock band Oasis. Throughout their 18-year existence, Oasis released seven full-length studio albums, all of which debuted at No.1 on the Official UK Albums chart. The band disbanded unceremoniously backstage at a festival in Paris in 2009.